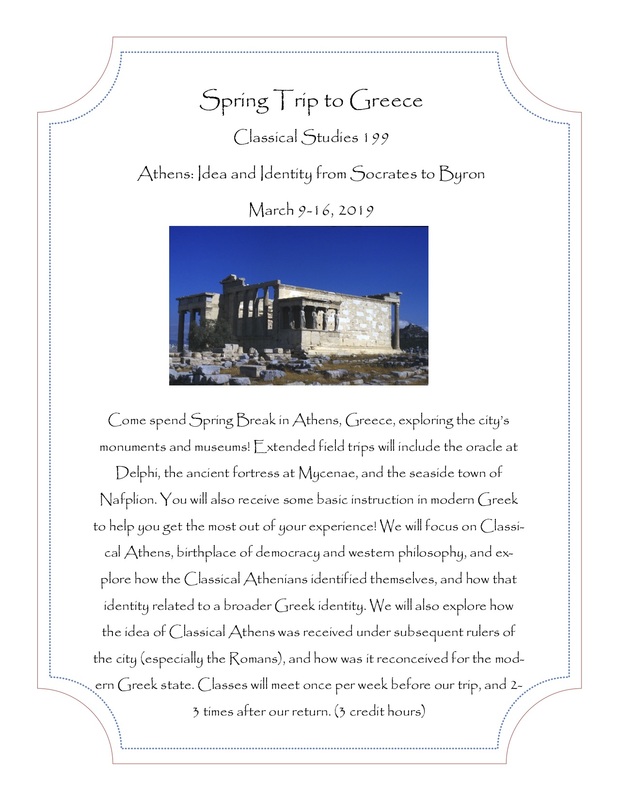 Taught by Evelyn Adkins and Mark Hammond. 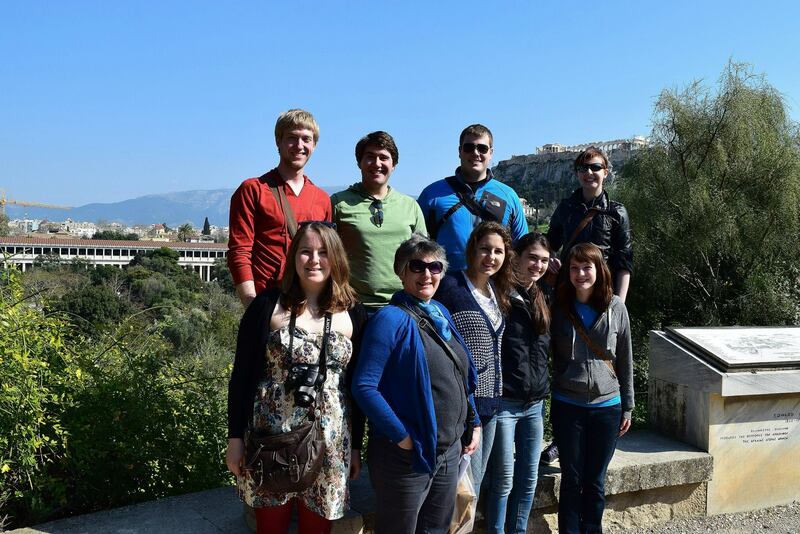 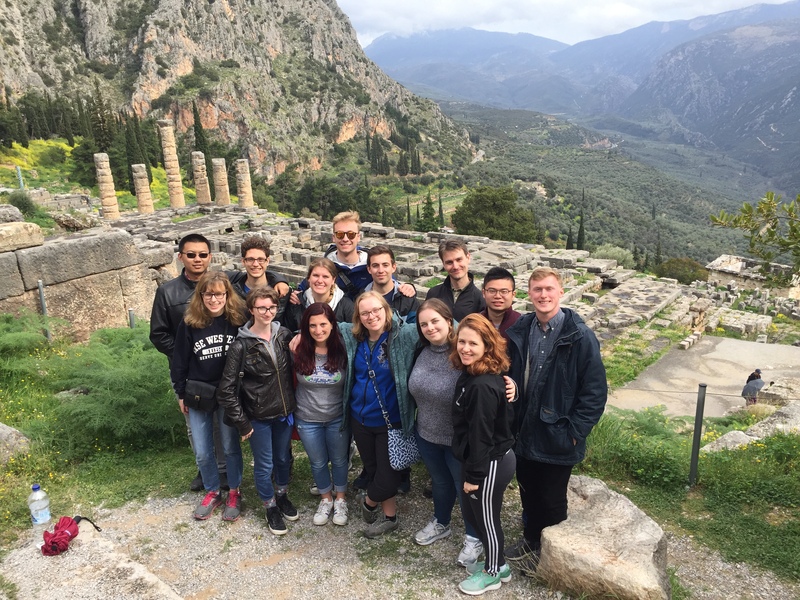 Students spend spring break in Greece as part of CLSC 199 – Athens: Idea and Identity from Socrates to Byron taught by Professor Mark Hammond. 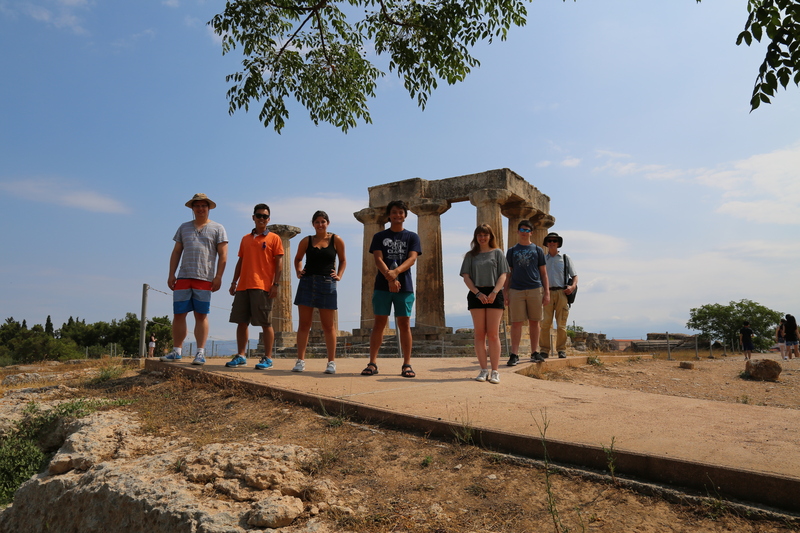 Classics students spent four weeks in Greece, as part of a summer Classics course taught by Professor Paul Iversen, where they were able to participate in an active archaeological project–The Lechaion Harbor & Settlement Project. 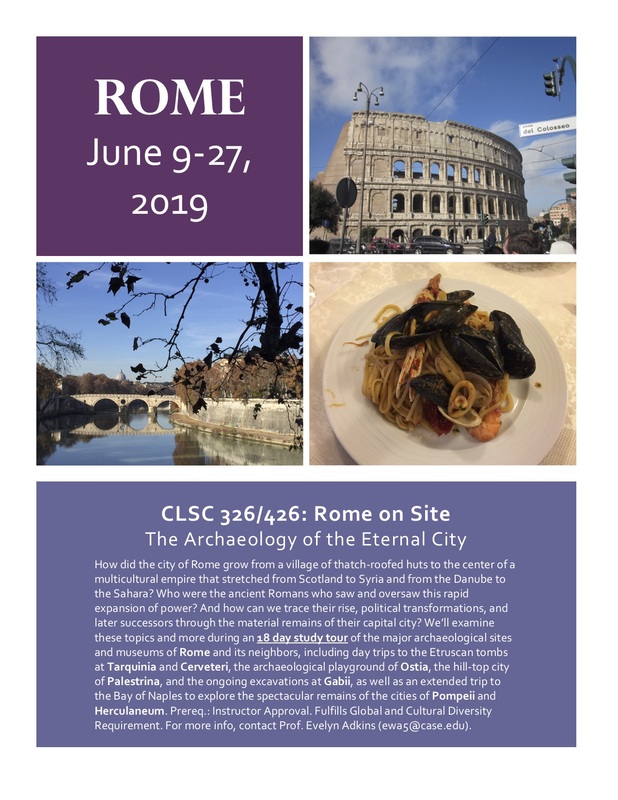 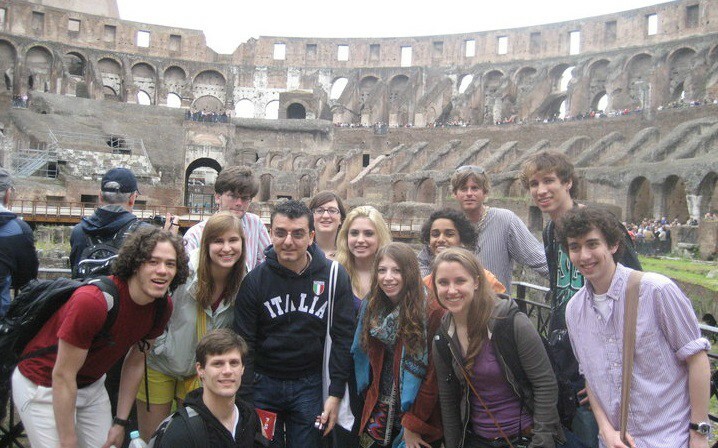 In addition to their field work, students learned about the history Greco-Roman culture and visited major archaeological and cultural sites around the country. 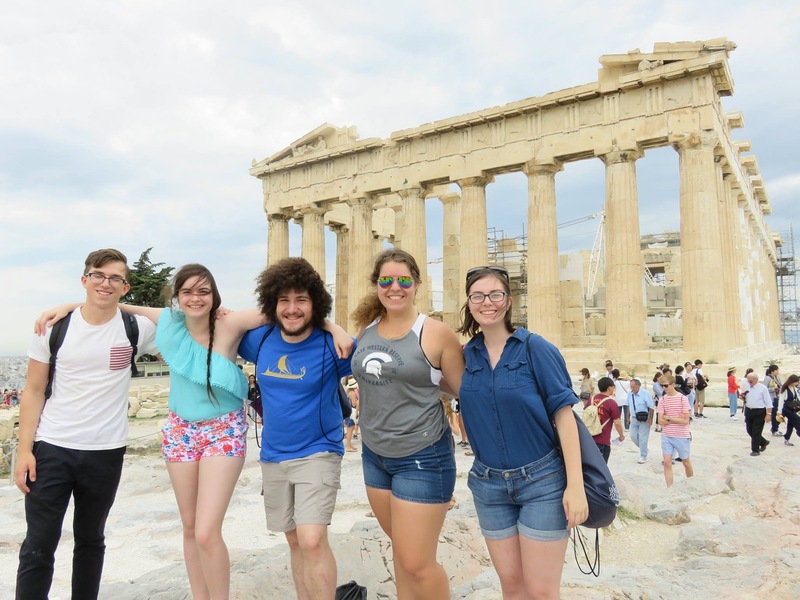 Classics students Jacob Kordeleski, Dominica Rollins, Adam Doros, Aubri Swank, and Anna Anders spent three weeks in Greece learning about the history of Greco-Roman culture and gaining hands-on archaeological fieldwork experience with Professor Paul Iversen.